CHLORELLA (Chlorella pyrenoidosa) is one of nature’s perfect foods. This unique plant offers a wide variety of nutrients required for health and extremely high nutrient density. Chlorella also contains the highest levels among all known foods of dietary nucleic acids (RNA, DNA), which are known to increase cellular energy (ATP) for improved intercellular communication in the body, rejuvenation, detoxification, and rapid healing. For all these reasons, chlorella has been considered by many to be the king (or queen) among superfoods. It likely is one of the single foods on earth upon which humans can live, at least for extended periods, due to its uniquely stellar nutrient profile. Chlorella is a unicellular, freshwater, green microalga. It is a nutrient dense, alkaline-forming superfood providing protein, fiber, essential fatty acids (it is an excellent source of linolenic acid), and a full spectrum of vitamins, minerals, amino acids, enzymes, antioxidants, mucopolysaccharides, and phytonutrients. Among these nutrients are significant amounts of Vitamin A, Vitamin D, Vitamin E, Vitamin K1, all the major B vitamins (including B12); iron, calcium, potassium, phosphorus, magnesium, and zinc; an abundance of naturally occurring beta-carotene and lutein. In addition, chlorella contains the highest levels of nucleic acids (RNA and DNA) among foods, including the unique nucleotide-peptide complex known as Chlorella Growth Factor (CGF) (approx. 5%). Chlorella also contains the highest chlorophyll levels among plants (approx. 4%). 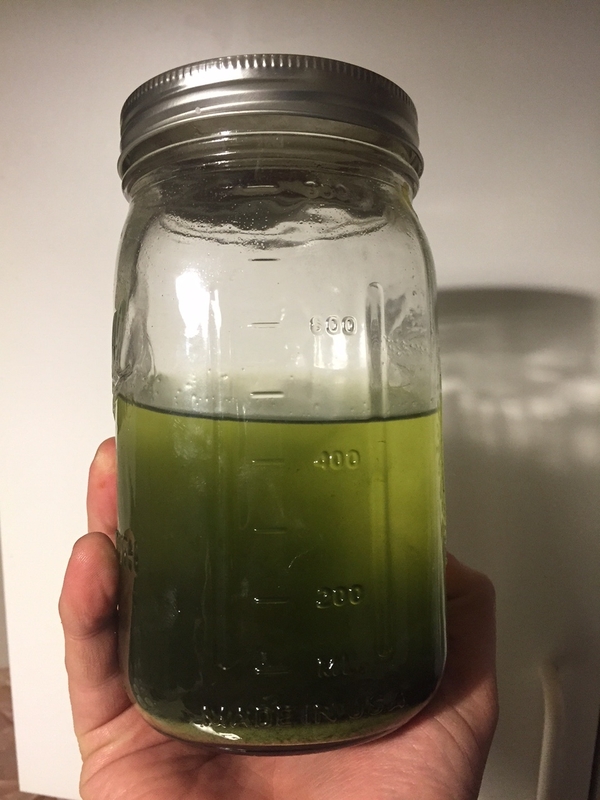 Natural, raw chlorella (non-GMO and pesticide-free) is cultivated in open freshwater ponds where it receives exposure to sunlight during all stages of growth. The ideal conditions of steady sunshine and warm temperatures (averaging 82 degrees) produce a very high-quality, dark green chlorella having exceptional nutritional value, a slightly fragrant aroma, and a mild taste. Chlorella is readily digestible (80–85%) because it is lightly processed to break its cell walls, enabling excellent assimilation by the body. Because it supplies so many essential nutrients in readily usable forms, chlorella is an ideal superfood for all individuals desiring higher levels of nutrition. Chlorella is a whole, natural superfood that has existed for billions of years. In addition to high-quality protein (its amino acid profile is similar to egg), essential fatty acids, vitamins, minerals, and fiber, chlorella’s high levels of nucleic acids (5% to 15% RNA and .5% to 1.5% DNA) boost significantly its nutritional and therapeutic value. The dietary intake of nucleic acid rich chlorella has been shown to be a useful adjunct in protocols for a wide variety of health conditions, including cardiovascular ailments (and lowering cholesterol and triglycerides), liver conditions, kidney conditions, diabetes, hypertension, arthritis, digestive conditions, tissue detoxification (including detoxification of heavy metals), skin problems, and strengthening of immune function. Chlorella has demonstrated its capacity to stimulate healing in the body. It promotes growth in young individuals and allows repair to damaged tissues in mature individuals. It has also been shown to have a normalizing and strengthening effects on many tissues and metabolic pathways. For these reasons, it is often considered by scientists to be an adaptogen (a “normalizer”) or adaptogenic food. One of primary reasons proposed for such effects are its high levels of nucleic acids (RNA and DNA), which appear to be related to the unique ability of chlorella to reproduce itself extremely rapidly (as much as quadrupling itself in 20 hours). In humans and animals, nucleic acids are associated with healing and anti-aging activity, as well as with improvements in intercellular communication. Chlorella is one of the most extensively studied plants in the world. The earliest laboratory cultures of chlorella were developed in the 1890s by the Dutch microbiologist by M. W. Beijerinck, who confirmed its edibility. During the first half of the twentieth century, various German scientists, including Linder, Hardner, and Huick studied chlorella for its potential use as a food source (given its high protein content and rapid growth characteristics). In the United States, a pilot study conducted at Stanford Research Institute in 1948 concluded that chlorella indeed could be successfully grown and harvested in large quantities as a food. Japanese researchers in the 1950s pioneered the development of technology to grow chlorella on a commercial scale. Chlorella subsequently became a subject for research around the world. For example, the American scientist Melvin Calvin won the 1961 Nobel Prize in Chemistry for his studies of photosynthesis, in which he used chlorella to demonstrate the steps by which plants turn carbon dioxide and water into sugar. Research on chlorella as a food source continues today and it has become a major food source for millions of people around the world. The name “chlorella” reflects the extremely high levels of chlorophyll (5–10 times more than any other algae) it contains. Chlorophyll is an internal cleanser and deodorizer. Due to its high magnesium content, chlorophyll itself has proven to be a useful adjunct in protocols for wound healing, cardiovascular health, combating anemia (and stimulating production of red blood cells), and improving cellular oxygenation. Chlorophyll also has been demonstrated to be effective when used topically. Although cholorophyll had been isolated earlier, it was not until 1913 that German chemist Dr. Richard Wilstatter identified its function in plants. The use of chlorophyll in healing was introduced as early as the pioneering work of Swiss-born scientist Emile Burgi. Burgi and Rollet (1930) were the first to demonstrate that green plant extracts could stimulate growth in tissue. Later, Smith and Livingston (1943) proved that chlorophyll preparations could accelerate healing in wounds. Smith also showed that chlorophyll in concentrations between .05 and 0.5 in tissue cultures caused immediate growth responses in fibroblasts (wound repairing cells). In the early 1950s, the Japanese researcher Fujimaki separated a previously undiscovered substance from a hot-water extract of chlorella that is now known as “Chlorella Growth Factor” (CGF). CGF is a nucleotide-peptide complex comprised mostly of nucleic acid derivatives. The sugars identified in the nucleotide include glucose, mannose, rhamnose, arabinose, galactose, and xylose. Amino acids found in the peptide include glutamine, alanine, serine, glycine, proline, asparagine, threonine, lysine, cysteine, tyrosine, and leucine. In Japan, Dr. Yoshiro Takechi showed that CGF stimulates lactobacillus (the beneficial or “good” bacteria) to grow at four times the usual rate. Experiments with microorganisms, young animals, and children have demonstrated that CGF promotes faster than normal growth. In adults and mature organisms, CGF appears to enhance the functions of nucleic acids at the cellular level that relate to the production of proteins, enzymes, and energy, as well as to stimulate tissue repair and offer protection against toxic substances at the cellular level. Locally collected Ormus minerals made with Chlorella powder, Dead Sea Salt, and harmonically structured water.